Svetla Margaritova has over 40 scientific publications in the field of crime prevention, juvenile delinquency, female crime, domestic violence, identity of young offenders, etc. She has participated in the implementation of a number of regional and national criminological research and development programmes for crime prevention. 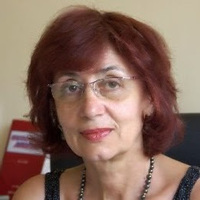 She is the President of the Bulgarian Association of Criminology as well as the Chairman of the Foundation “Bulgarian Lawyers for Human Rights”.